Here’s our weekly preview of the comics coming from Dark Horse this Wednesday! 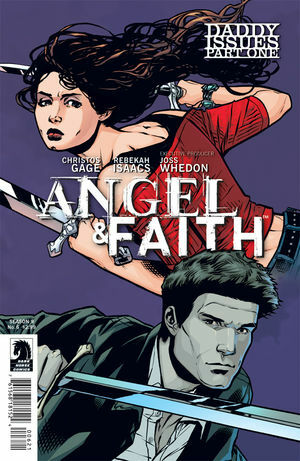 ANGEL & FAITH #6 both continues the story of redemption Angel and Faith are on and gives a look into the past of Buffy the Vampire Slayer with a tale from Giles’ past. Also, a classic Buffy villain makes her return. If you’re a Buffy fan, I’d recommend this. B.P.R.D. 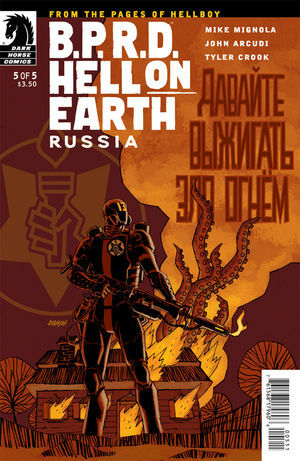 : HELL ON EARTH – RUSSIA #5 is the final issue of this miniseries focusing on the adventures of a Hellboy-less B.P.R.D. I won’t give anything away, but if you’ve been reading this arc, don’t worry: it wraps up the loose ends of the story while continuing the ongoing B.P.R.D. plotline. I’m definitely a B.P.R.D. follower now. 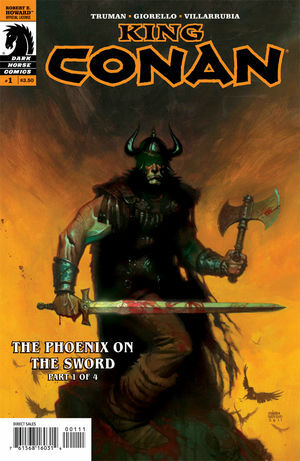 KING CONAN: THE PHOENIX ON THE SWORD #1 shows that badguys never learn and that Conan is a badass at any age. The art is really great, with a dark, scratchy look that perfectly captures the idea of a foggy memory retold by an old man. Makes me wanna wash down a huge leg of lamb with a big mug of mead. If you’re a swords-and-sorcery person, why aren’t you already reading Conan? CREEPY #7 is another cool issue of the black-and-white horror comics anthology. I’m not big on horror comics, but the art and stories this issue are really great, with some cool ideas all around. Also, where else can you find good anthology comics than Dark Horse? Kudos to that. 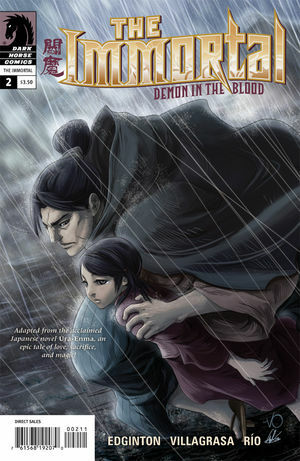 THE IMMORTAL #2 is building a strange atmosphere of Highlander meets 1880s-steampunk Tokyo with a touch of the supernatural. It’s a lot of fun, a cool adaptation into comics, with some really great art. 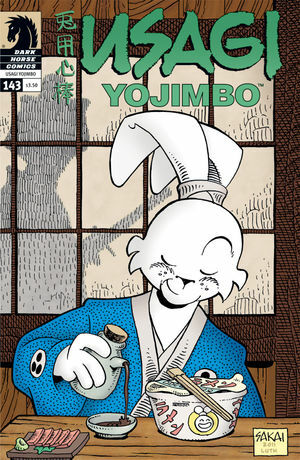 USAGI YOJIMBO #143 was the first issue of this comics legend that I’ve read. I understand what the fuss is about now. It’s also a great lesson in Japanese culture without being a textbook. This is a good jumping-on point for those interested in this tale of a rabbit ronin in feudal Japan. Thanks, as always, to Aub Driver and the fine folks at Dark Horse! 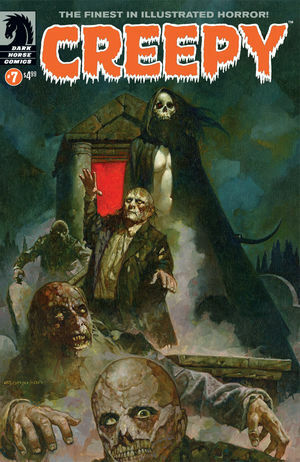 This entry was posted in Currently Geeking and tagged angel, bprd, buffy the vampire slayer, comics, conan the barbarian, creepy, dark horse, dark horse comics, faith, hellboy, the immortal, US, usagi yojimbo. Bookmark the permalink.